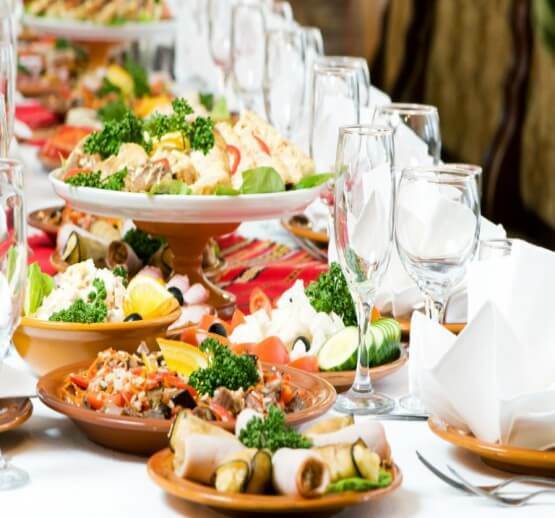 Astoria Biryani House Catering can plan and execute an event as large as you can imagine right down to the linens, decorations, entertainment and place settings. How about a themed event? No problem. 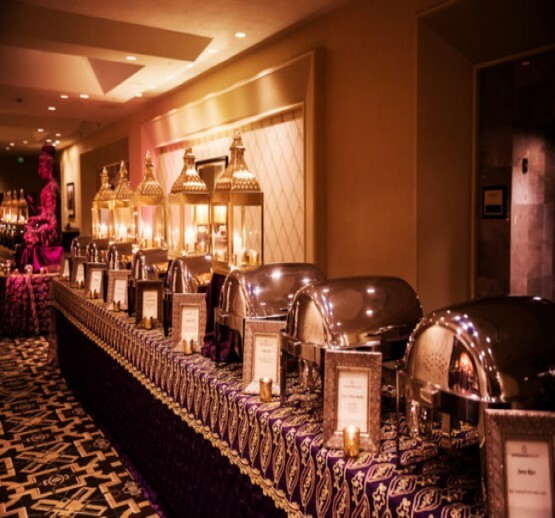 Our event specialists can provide a menu that will be creative and unique, making a lasting impression on your guests. We specialise in large size caterings for weddings, engagements, house warming parties baby shower all the way up to 3000 people! A-LA-CARTE FOR LUNCH OR DINNER. 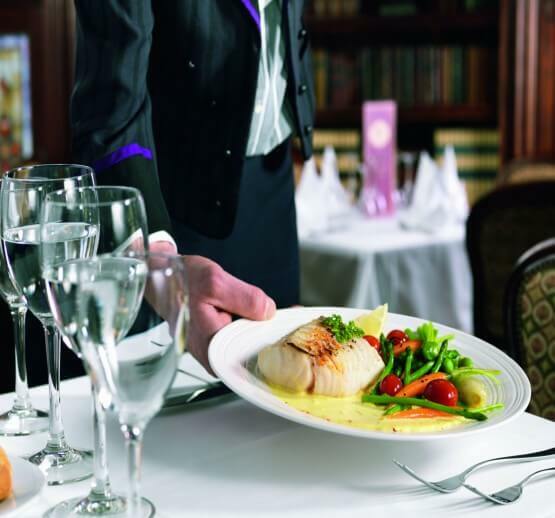 TABLE SERVICE MEALS FOR LUNCH OR DINNER. What if somebody else takes care of the preparations and you just sit and relax rather prepare ways to impress your girl, colleagues, and the boss, at the same time? With Astoria Biryani House , keep all those worries aside whether it concerns the planning of the big event, we’ll take care of all. 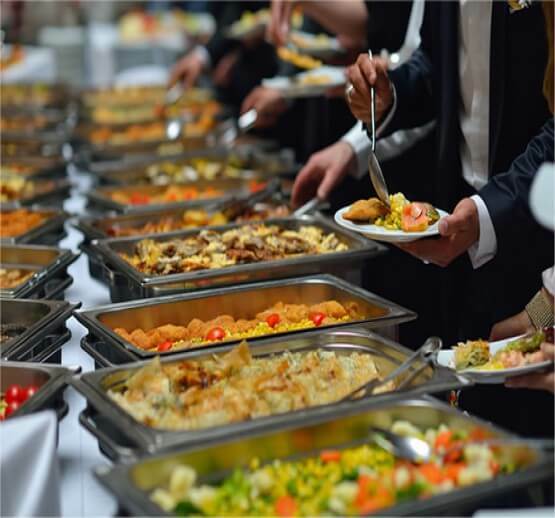 With the best corporate catering services at your back, worrying about party how goes will be the last thing on your mind. Whether a small cocktail party in your backyard or a grand opening of your new office, we will make sure of a grand event. Our menu is as much you can imagine when it comes to food. Though our menu covers most of the dishes that we prepare as an offering of our catering for events, we still encourage checking our menu. Your order is prepared and ready for your pick up from our restaurant, packed in our Catering trays and dishes. Your order is delivered hot and fresh and free set-up at your location. 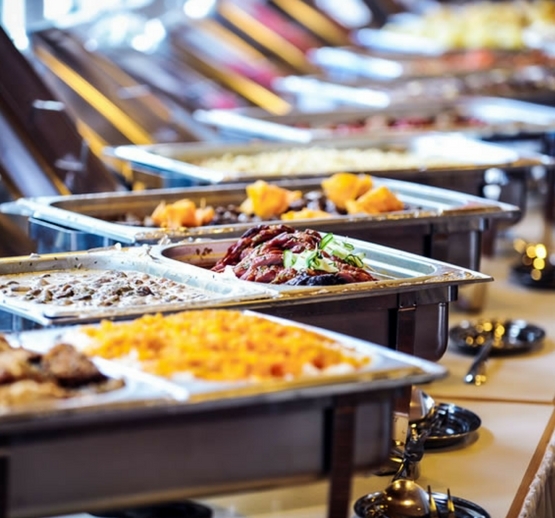 Chafing dishes and equipment can be provided and will be retrieved once the event has ended at the guests’ convenience. No server provided. We bring the full experience to you for the ultimate fiesta! 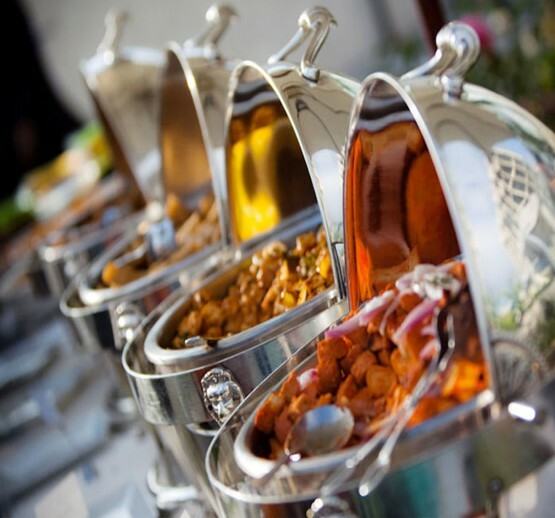 Our service includes setup, chafing dishes, equipment, onsite live cooking BBQ, Chaat Counters, Live Tawa, professional service staff, and clean up. Watching your kids enjoying a birthday party is such a pleasure. When it comes to the birthday of your own kid, you want no bricks unturned. You need the best place to celebrate the occasion. Recently we had the catering from Astoria Biryani House and the food was a hit with everyone, appreciated how good the food was and also,the presentation was top notch ,Team was so helpful,in planning our menu nd also they listened to all our concerns and made sure that their team followed all our suggestions and executed jus like the way we requeat,would recommend Astoria Biryani House to anyone planning a party, who wants good food with top class presentations,Also his ALOO TIKKIS are something that everyone still talking about,so thank you Astoria Biryani House team for the good job . This was the best Indian food my wife and I have ever had. We decided to stop by while in Addison to give it a try and the whole time we had there was awesome. Amazing food! Our waiter was also very knowledgeable and didn't care how long we stayed. Very nice people. 5 stars!